In a significant public health victory, Mexico has succeeded in eliminating a disease which is the leading cause of blindness worldwide. The Pan American Health Organization (PAHO) and the World Health Organization (WHO) announced Monday that Mexico is the first country in the Americas to eliminate trachoma as a public health issue. The disease, caused by a bacteria, affects the eye and repeated infections can lead to scarring and even loss of vision. It primarily affects young children, and can be spread by personal contact or by flies that that have been in contact with the discharge from the eyes or nose of an infected person. Trachoma primarily affects poor and isolated populations in 41 countries; in the Americas, the disease is still prevalent in Brazil, Guatemala, and Colombia. Mexico has become the third country, after Oman and Morocco, to receive WHO validation for eliminating the disease. 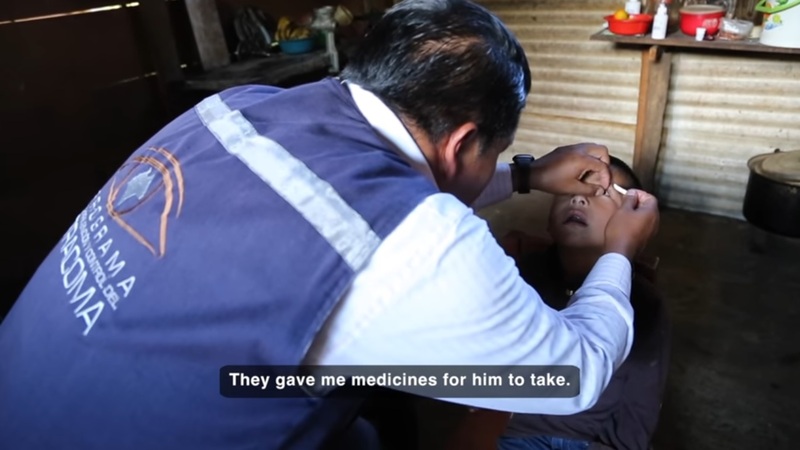 In Mexico, trachoma affected over 146,000 people. The country ramped up its actions in 2004 with the creation of the Trachoma Prevention and Control Program of the Ministry of Health of Chiapas and the strengthening of the WHO SAFE strategy. The “Trachoma Brigades” focused on cleanliness, antibiotics, environmental improvement and surgery for the advanced stage of the disease. The program’s slogan was “With water, soap and cleanliness you can prevent trachoma.” Teachers at schools would also meet with parents regularly to promote better hygiene. The international criteria for the elimination of trachoma as a public health problem includes prevalence of less than 5 percent in children aged 1 to 9, and less than one case of trachomatous trichiasis (inverted eyelashes) per 1,000 inhabitants. Meet Molly, the first dog trained specifically to find and rescue lost cats.